You can now see photos of the deepest subway in the world, including unique artwork, dancers, and bands. 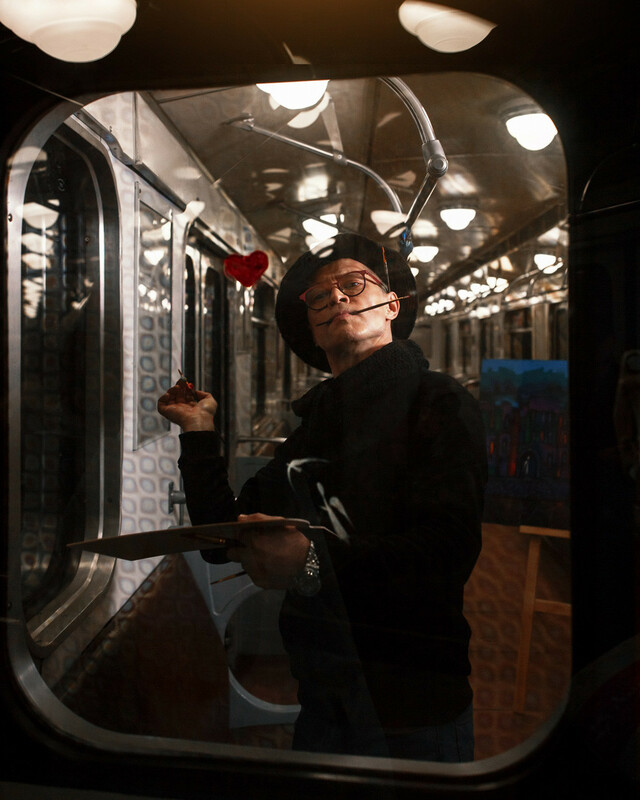 St. Petersburg’s Metro launched its own Instagram on March 1 to show the world the unique atmosphere and art of the underground. Aside from photos and videos, locals will have their own personal stories published. Well-known musicians, actors, writers, artists, and sportsmen are taking part in the project. So sit back and enjoy the beauty of the deepest in the world. Russian ballet is power, grace, accuracy of movement, speed, and beauty. How do you find ballerinas among the massive marble pillars of Kirovsky Zavod station? Yana Posadskaya, a fashion blogger from St. Petersburg, likes to read Anton Chekhov when riding the metro. Now she’s rereading Lady With The Dog. An amazing trio at Bukharestskaya station. Musicians often play concerts underground. This station is one the most beautiful in St. Petersburg. If you look at one of its walls you’ll see a small mosaic of a bird, a symbol of love and warmth. Baltiyskaya got its name from the nearby railway station. Its hall is decorated with the portraits of admirals Fyodor Ushakov, Mikhail Lazarev, and Pavel Nakhimov. Its walls and pillars are adorned with grey and blue marble, reminiscent of Baltic waters. Valeria Sokolova is a travel blogger, she writes about transport and thinks the St. Petersburg Metro is the most beautiful in the world. Her favorite station is Mayakovskaya. Stations of the St. Petersburg Metro are real masterpieces of art. Visit Narvskaya station and you’ll see it with your own eyes! Once the famous artist from St. Petersburg Valerius saw a redheaded girl in the subway and fell in love. They did not meet then but he devoted dozens of his works to her. Eventually, they did meet but nothing romantic happened. Only beautiful portraits remain. The House of Bonchinche band is ready to dance everywhere. Inspiration comes to them even underground. So don’t be surprised if you see them making shapes while riding the metro! 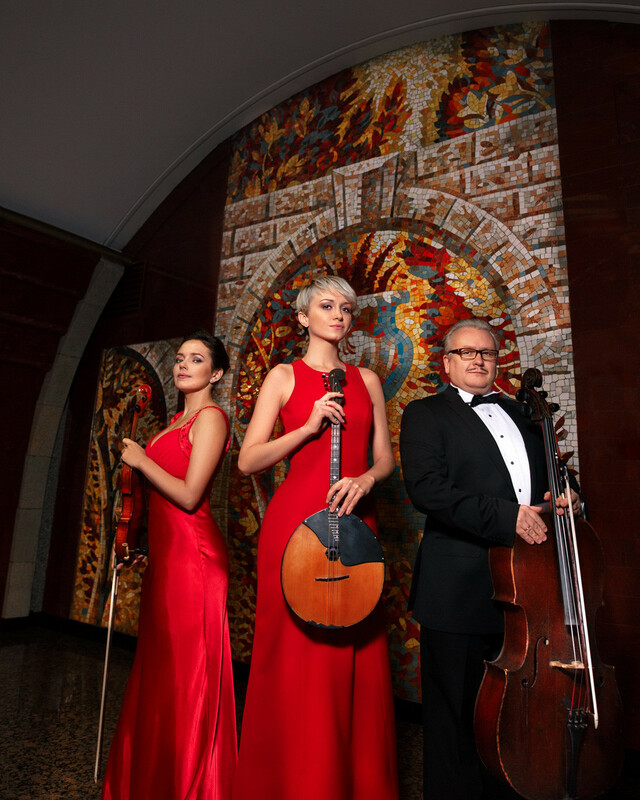 Soloists of the Mikhailovsky Theater enjoy Avotovo station. The decoration of the station is devoted to the Defense of Leningrad. Which is the most beautiful metro station in Russia? We asked the locals.